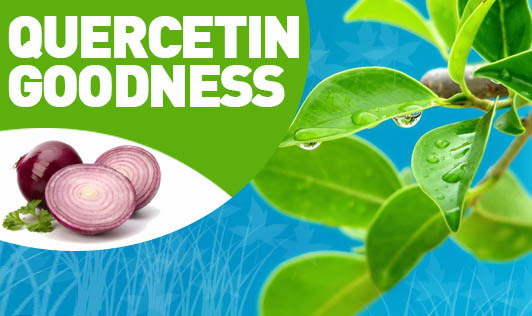 Quercetin is a plant pigment that is classified as a flavonoid and has a broad range of effects in the body. Together with vitamin C, it helps strengthen fragile capillaries and connective tissue and also functions as an antioxidant. It can inhibit tumor formation and modulate enzymes in the liver that degrade drugs, pollutants and cancer causing agents. Quercetin can reduce inflammation by blocking the formation and the release of inflammatory agents, and it possesses anti microbial activity as well. Benefit from this phytochemical by eating foods such as apples, strawberries, grapes, cherries, green tea, onions, red cabbage and kale.